In today's news roundup, we hear more about the Permanent TSB saga from David Hall of the IMHO, another group are challenging the goverment on bank repossessions and a new UK developer applies for a second luxury scheme in North Dublin. The Permanent TSB news rumbles on. Some of the inflicted borrowers overcharge by PTSB will be ineligible for refunds and compensation because they went bankrupt. According to David Hall, Director of the Irish Mortgage Holders Organisation, at least 3 homeowners went bankrupt this year and last year – having surrendered their homes to the bank after getting into arrears. Although they will be offered refunds, technically because they are bankrupt the money should be handed to the official bankruptcy assigne – to return it to their debtors, namely PTSB! Meanwhile another group has formed to challenge the bank’s ability to repossess family homes. 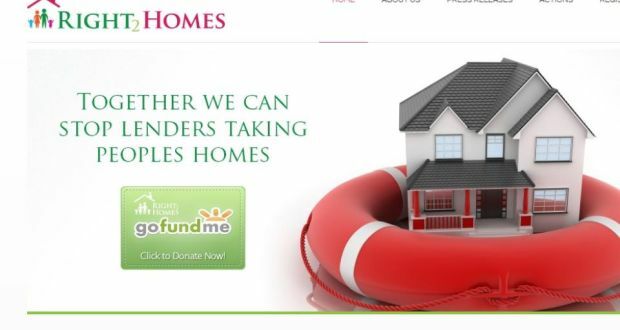 Right2Homes, co-founded by business man Brian O’Reilly, has started a crowdfunding campaign to support a high-profile court case, Darcy v Minister for Justice and the Attorney General, that challenges a 2013 law that they see as circumventing the Justice Dunne ruling of 2009 which effectively prevented the banks from seeking possession of family homes. London developer Hollybrook who have recently completed their first small scheme in Malahide – Robswall – have applied for planning permission for a second development. The scheme will be 124 apartments in Clongriffin, in a 5-6 storey building topped with a luxury penthouse.